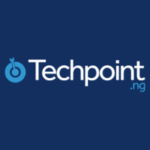 Techpoint Build is the largest conference and exhibition that connects the startup and SME community with all industries, bringing together people from different states across Nigeria and other neighbouring countries. Techpoint Build will hold on 26th January, 2019. The event features a highly educative keynote address, pragmatic panel sessions, pitch storm with startups, investors and experts as we seek to harness and morph a new continent starting from the biggest black nation in the world by our actionable plans and solutions. Business Developers: Top business developers to help you structure your business.